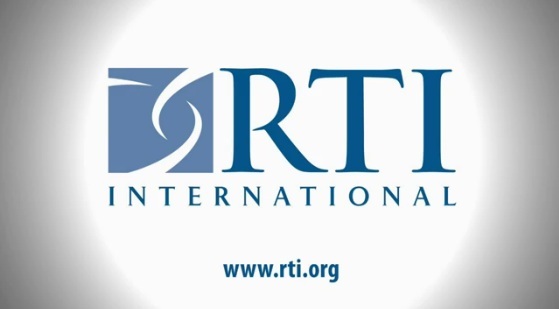 RTI International is set to recruit for various Graduate Positions. We are an independent, non-profit organization dedicated to conducting innovative, multidisciplinary research that improves the human condition. With a worldwide staff of more than 4,000 people, RTI offers innovative research and development and multidisciplinary service. Selected candidates will supervise the day-to-day management of the program, support staff in implementing technical components, and oversee general office operations and financial management. Master's or Higher Degree in a related field with 12 years of relevant experience managing development programs, preferably in the education sector; demonstrated experience supporting Nigerian education institutions in improving the country's education system; prior experience managing large-scale projects of US $20 million or more, and familiarity with USAID management policies, procedures and reporting requirements a must. Selected candidates will provide overall technical leadership of activities related to improving early grade reading in early primary grades. She/he will provide oversight of content and materials development for teacher training and professional development activities, as well as teacher evaluation and student assessment. Maters Degree (Ph.D preferred), with at least 10 years of experience in primary-level teacher education; extensive experience working with the Nigeria education system at various levels; experience managing technical experts and staff and developing teaching training programs and materials. Selected candidates will provide pedagogical leadership in the design of a Hausa early grade reading program. She/he will contribute to the development of lesson plans and teaching and learning materials for teachers, pupils, and other education stakeholders. Advanced degree in Hausa Language instruction and/or literacy, with a focus on curriculum and instruction, early grade reading, teacher training, and/or assessment. Minimum of 7 years relevant experience working in the field of Hausa language, literacy and teacher training. Demonstrated ability to work with NGOs, technical experts, and government agencies in the design and implementation of large-scale programs to support literacy and teacher training. Selected candidates will be responsible for managing and overseeing program activities at the State level, working collaboratively with staff to provide logistical support, mange staff issues, and manage external relations. She/he will also be responsible for developing implementation plans and budgets, overseeing financial management, communications, and information technology; overseeing M&E; and serving as the project representative at the State level. Degree in Business Administration, Management, Education or related field; at least 7 years experience managing staff, budgets, and logistics to coordinate a large-scale program, preferably in the education sector. Experience working at the State level and with governments and NGOs. Selected candidates will be responsible for supporting local government institutions and teacher training agencies to design and deliver teacher training in early grade reading. This will include contributing to the development and implementation of activities and supervising and supporting in-school professional development. Advanced degree in education and a minimum of 7 years of relevant experience in the field of curriculum and instruction, early grade reading/literacy, teacher training, bilingual education, and/or assessment; demonstrated ability to work with government agencies on teacher training programs.